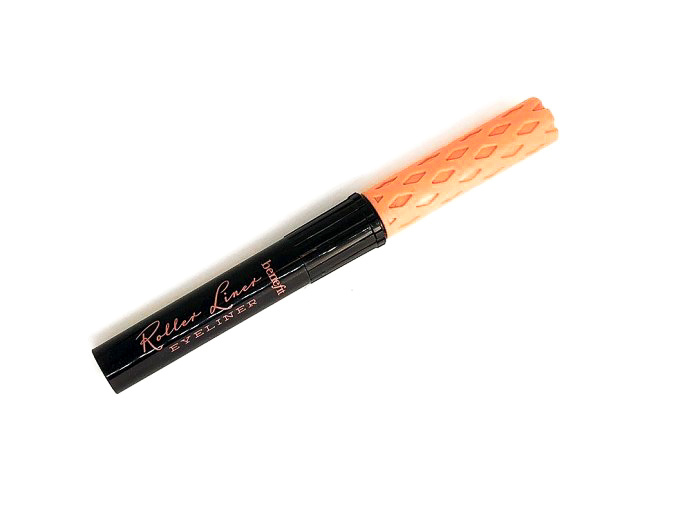 Today’s review is going to be of the Benefit Roller Liner Eyeliner. I got the mini version of it because the big one was sold out and I’m actually quite happy I did, since I tend to be VERY picky about my eyeliners. 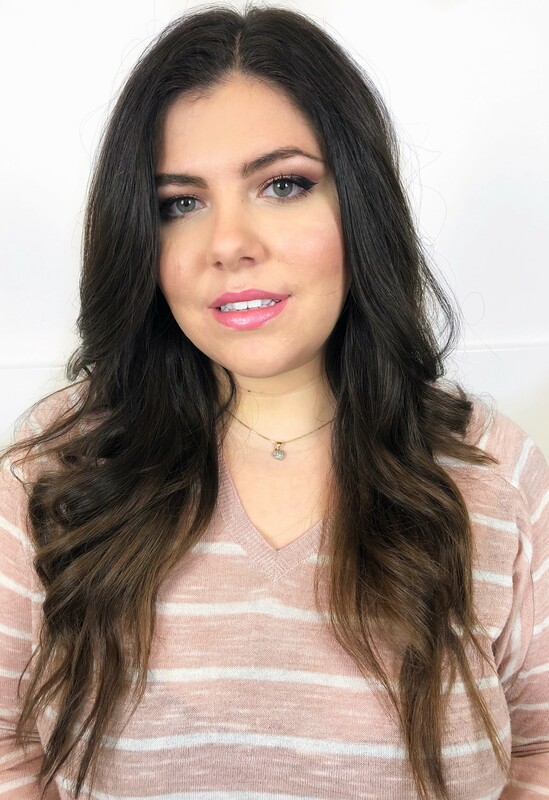 I personally love to use pen ones, since I started this blog I’ve pretty much only used the Kat Von D Tattoo Liner because it works amazingly but I do love the Stila one too. The main problem with pens is that they DRY out so quickly (the Kat Von D doesn’t so that’s another reason why I love it) since I’ve only had this one for a few weeks I’ll have to report on that. You can get it here for 22$ or you can get the mini I have here for 12$ (the mini is half a size so the price is actually quite fair). The packaging is the same as the Roller Lash mascara. I think is cute but I’m not entirely sure about the theme here, why does it match the mascara whose concept is that it curls the lashes? I honestly don’t get it but it’s cute. 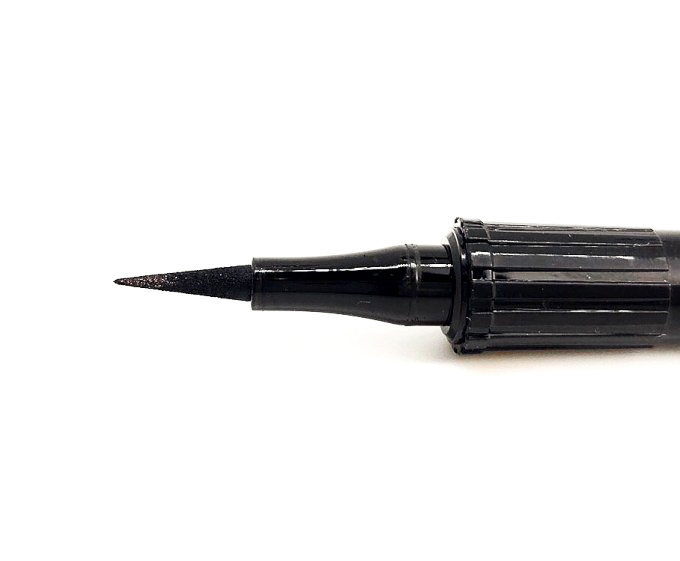 It’s a felt tip liner which I definitely love, although I’m used to having a brush, I prefer the felt tip. I find the felt tip quite easy to use but I wish it was slightly smaller. The formula is very liquidy, not to the point that it bleeds, but it’s easy to apply and it doesn’t drag the lid. 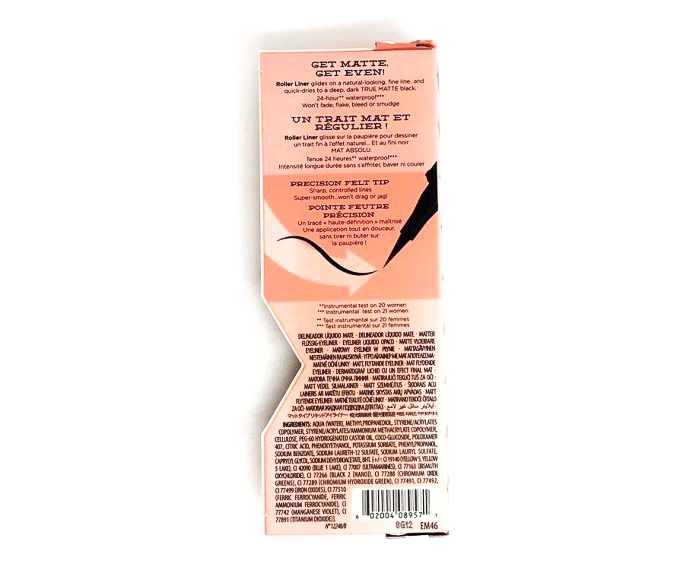 It’s very black and it claims to be “true matte”, it looks quite matt on the eyes but it’s not as matt as it claims to be which is a bit disappointing. I mean is more matt than pen liners usually are but not 100% matt. 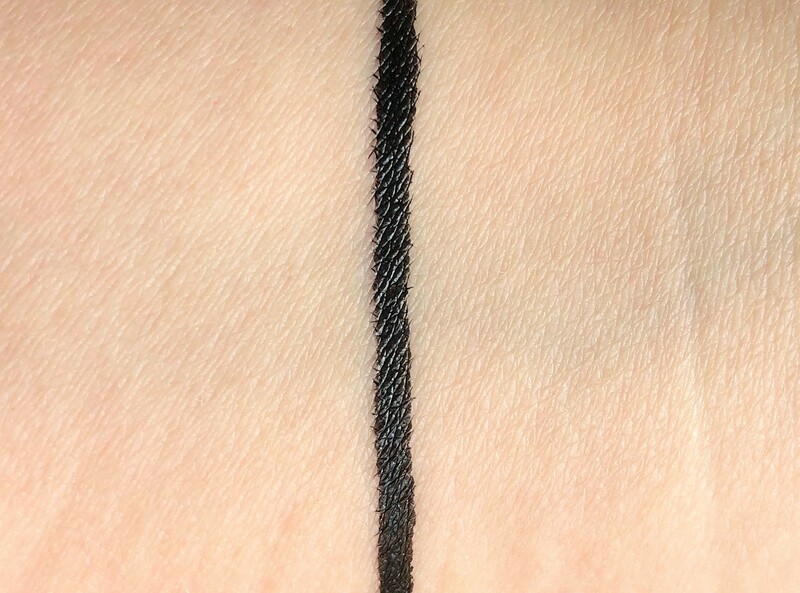 When I use liquid liner I tend to skip primer so it has to last well without it (on me that’s a mission). 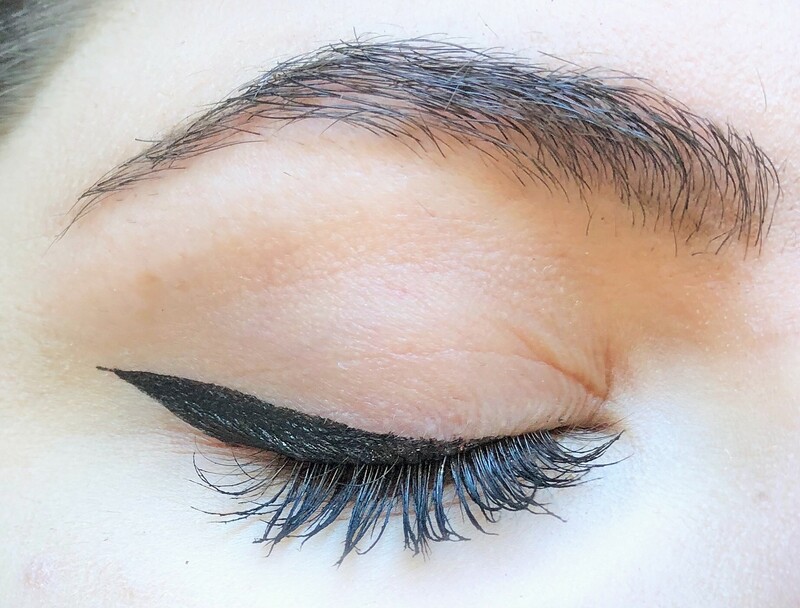 This liner lasted 12 hours without smudging or bleeding but it’s still easy to remove. 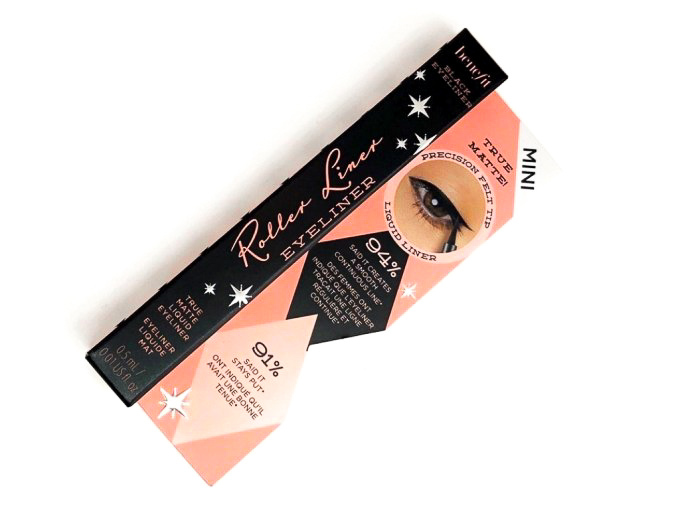 I love this eyeliner, I love the colour, the packaging and the way it applies. I think the lasting power is amazing too. I wish it was as matt as it claims to be, I feel like I got a bit played on that but it’s more matt then pen liners usually are so I give it that. Overall I’m very impressed. I’ll have to see how long it lasts before it dries but if it lasts I’ll definitely get the full size. It’s amazing. This sounds like the perfect eyeliner for me for those times I want to be dramatic with cats eyes. I’m usually a pencil person for everyday. Love to hear that it doesn’t smudge but comes off easily. A double-win! It looks nice on you. I wish I could do my eyeliner like that- never turns out how I imagine it will. lol. 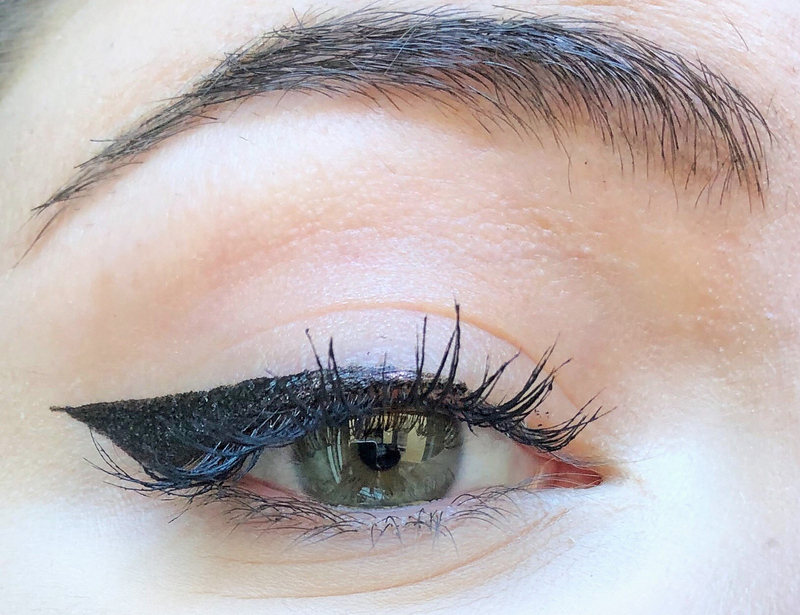 We need a post on eyeliner tips and tricks! I’m a big fan of this type of liquid liner as far as the applicator is concerned (: I find the felt tips are much easier to apply a wing with! Same, I mean, I’m used to the kat von d one that has a brush but I definitely like the felt tip better! Oooh I need to try this! !